According to Martin Conway, Terex international sales manager for EvoQuip, the company was established, and machines developed within the space of the last decade making them compliant with emerging trends in numerous industries. “By comparison the small EvoQuip machines are less expensive to buy and to operate making many lower-yield types of operations feasible by considerably bringing down operating costs. That means it can give old operations a new lease of life or may even be feasible to be brought onto quarries to produce saleable products from by-products,” says Martin. In addition, the relatively low overall cost of the equipment significantly lowers the entry level into a host of new industries and makes these more feasible for startups to process smaller quantities of materials profitably. Here examples could include waste concrete recycling at precast and readymix concrete yards, processing of illegally dumped building materials on behalf of municipalities, supporting construction operations in remote areas using available resources etc. Typically, in Europe and elsewhere abroad, EvoQuip’s innovative machines are being used in just this type of application. They have established a foothold among small-scale aggregate producers, recyclers of materials at dumpsites, demolition experts, agricultural co-ops and building contractors who make use of onsite spoils to produce building materials. Martin continues that they are particularly useful in shared-type applications where a co-op of farmers or rural municipalities may purchase a machine and share it among themselves. This also makes the machines ideal for the plant hire industry where they can be used to open new avenues of business for hire companies. “Imagine all the land that is wasted underneath piles of building rubble that can be accessed and opened with this type of machinery? 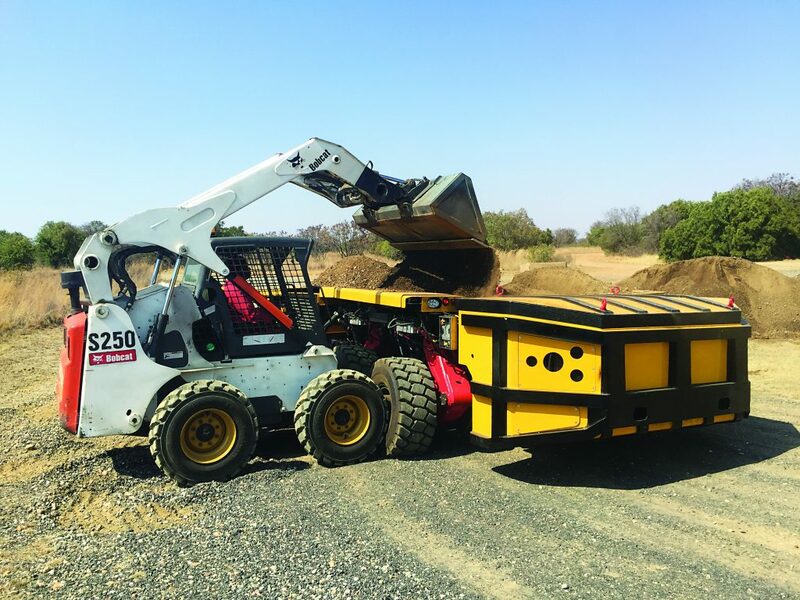 Or the types of building projects that can be undertaken in rural areas where dams, mast-footings, roads and other necessary infrastructure can be accessed by 4×4 trucks or even hitched to an excavator and towed to remote sites where the available natural materials can be used – the possibilities are endless,” Martin adds. 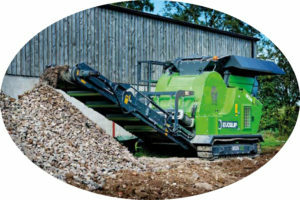 He concludes that EvoQuip crushers and screens are designed to be rugged and durable enough for overland transportation and tough remote-site operations. A wide range is available for different applications from soft materials to soils and rubble with special apparatus for the removal of rebar and metals. EvoQuip machines comply with rigorous safety and environmental requirements.